One of the best things to come along with smartphones is being able to collect and have access to digital music. Most phones these days allow users to store hundreds and thousands of songs. These playlist allow people to compile just about every kind of tunes they like as time passes by. But there are a few tricks and tips you should know about your music playlist. This guide on how to get the most out of your phone’s music collection is very helpful. 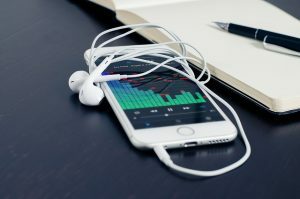 Before smartphones capable of storing countless of music files came along, most people had to rely on iPods, laptops, computers and other similar gadgets to accumulate and hear and use their music files. However, that has changed since most smartphones come with so much space to let you store your songs now. Still, there are a few things you should know about maximizing your music collection and getting the most out of your playlist. By doing so, you can enjoy your digital tunes even more. The vast majority of people usually enjoy a certain kind of music genre more than others. But some still keep other kinds of different ones in their collection as well. On the other hand, there are those that tend to have all kinds of music genres and sounds in their playlist. No matter which one you are, you should always catalog and index your files. You can do this in several ways. First, you can create different folders for certain types of music. Just like a playlist, creating subfolders will let you access them even more quicker. In addition, you can also choose to listen to a certain genre or folder, depending on your mood. For Android users who have phones with SD memory card slots, space is not always a problem. However, iPhone users and those without SD slots, only have a certain amount of space on their cellular devices. For those that don’t have phones with large capacity storage, they can do a few things. One, they can always upgrade to a phone with more space. If that’s not possible, they can also reduce the media quality of the files. Some music files are way bigger than others due to their format. You can convert them to smaller ones in sites such as Online-Convert for free. In addition, iPhone users can also use streaming services like Apple Music as well. One of the most important things to do with your music collection is to make sure you have it backed up. It usually takes months, if not years for people to accumulate their music library. Still, losing all of your files could happen in an instant. While iPhone users have iTunes to ensure back-up, Android users have to rely on other methods. Backing up your files via cloud services or other harddrive options are some of the ways to do so. Whatever you chose, just make sure you keep your list backed up all the time. In the event that you cannot access your phone or are separated from it, you can still reach your music collection. By using Google Music Manager app, you can gain access to your library from other devices. You can install it on a PC, tablet or Mac easily. Doing so will allow you to stream your entire music collection using an internet connected device which has a media player. By using this option, you can easily access your music library from anywhere you may be without your smartphone. Winamp is a great tool which has a MP3 tag editor utility. You can use it as way to export all of your songs to a single playlist. Furthermore, you can also convert that collection to a text file. Once you are done, you can save it and transfer it to a secure place. Prepaid SIM cards for cellular phones are just one of the places you can transfer the list to. For people who really love music, keeping their playlist fresh and updated is a must. That means that discovering new music and songs is a great way to do so. Use streaming services such as Spotify and Pandora to stay on top of the latest songs and trends. Options such as podcasts, recommendations and curated playlist should be activated to ensure the best results.